If you love burgers, you probably have a go-to spot that you can passionately defend all the way from the bun to the toppings. Maybe our list will reaffirm your favorite, offend you for leaving out your top pick, or introduce your taste buds to a new burger. 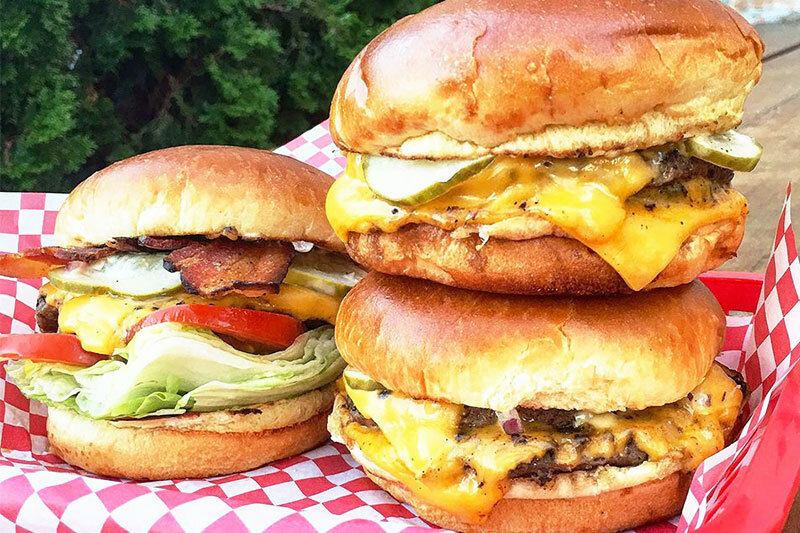 Either way, enjoy thinking about how delicious burgers are while you browse these six Chicago neighborhood options. Acadia is not the place to go for a casual burger. This upscale South Loop spot has picked up a whole bunch of Michelin Stars since opening in 2011. Chef Ryan McCaskey was inspired by coastal Maine (Acadia is the name of a national park in the state) when he opened the restaurant, and the seafood dishes do not disappoint. But, we are here to talk about the burger. Available from the bar menu, the Acadia burger comes with bacon jam, truffle mornay, and gruyere. The Bad Apple makes a mean burger. Choose from more than 10 options at this North Center haven for hearty food and craft beer. Keep it simple and classic with the Bad Apple Burger, which comes with provolone, lettuce, tomato, onion, and pickle. If you are more of a “the more toppings, the better type” go with Just Beyond the Thunderdome, the burger that comes with braised short rib, onion rings, white cheddar, and horseradish sauce on top. All of the burgers come with house cut fries (choose your own seasoning), and enjoy it all with your choice of beer. 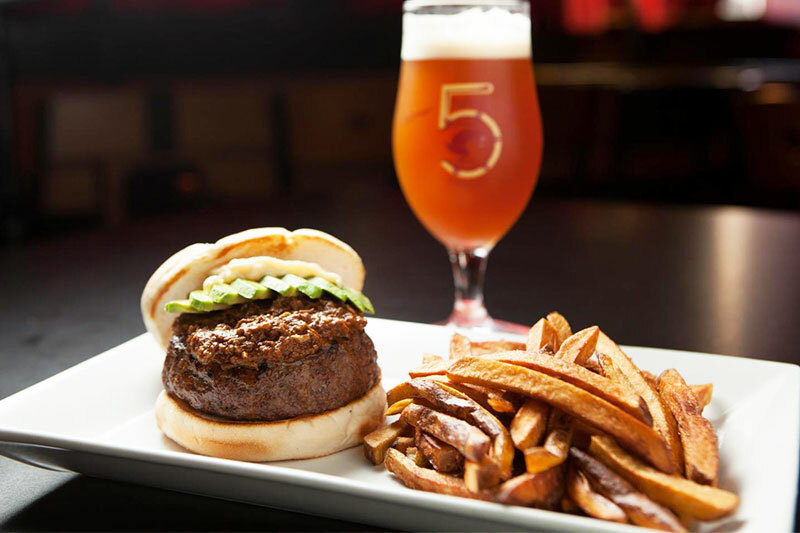 If you want to get a burger on a budget, check the restaurant’s happy hour to grab a Bad Apple burger, fries, and beer for $10. Dusek’s, another Michelin star winner on this list, serves its signature burger (the Juicy Lucy) on its brunch, lunch, and late-night menus. 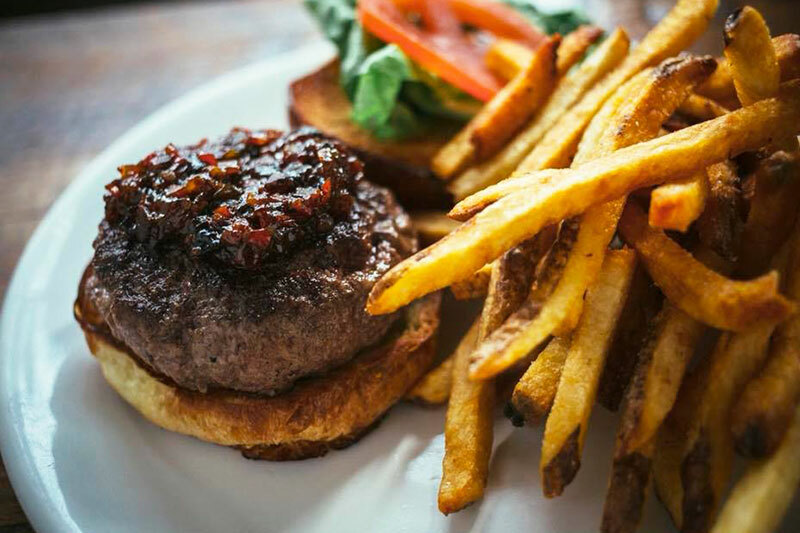 This burger lives up to its name with a thick patty of ground beef (sourced from Slagel Family Farm) paired with American cheese, lettuce, tomato, and bacon marmalade on a brioche bun. Plus, the burger comes with beef fat fries. 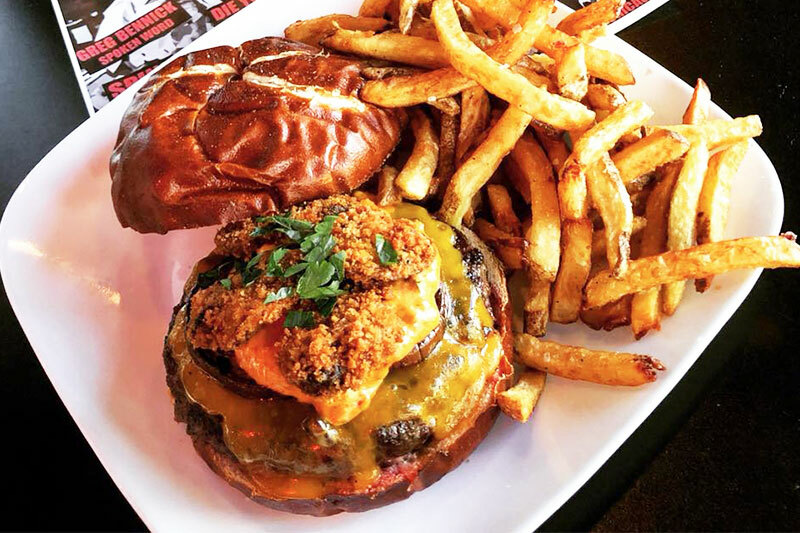 It probably goes without saying but come hungry when you order the Juicy Lucy at this Pilsen eatery. Hot Chocolate in Wicker Park might get a lot of its buzz (and rightfully so) from pastry chef Mindy Segal’s sweet creations, but don’t let that stop you from trying the burger. If you want the burger, come for brunch, lunch, or dinner. 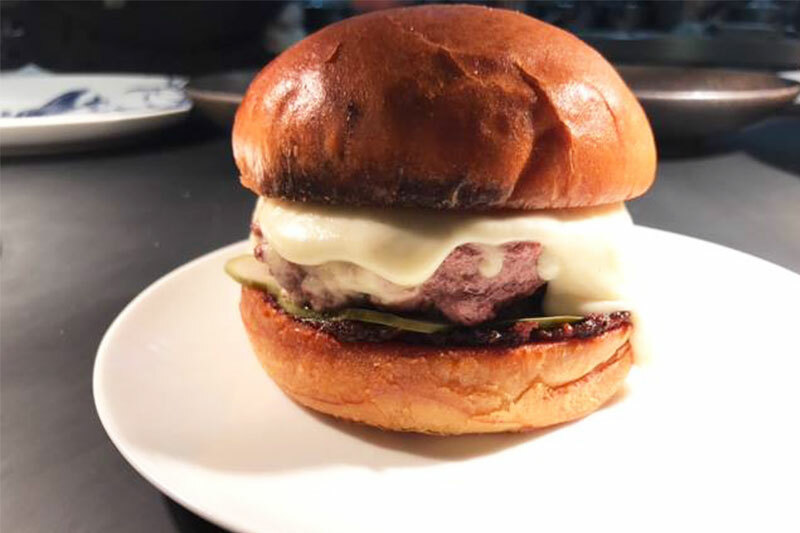 The house burger comes with Slagel Family Farm beef, cheddar cheese, and pickle on a sesame-poppy seed bun. Add bacon or a sunny side up egg for something a little extra. It all comes with house-made chips. Kuma’s has proliferated in recent years. You’ll find locations in the West Loop, Lincoln Park, Schaumburg, and even Indianapolis. The original Kuma’s Corner is still open in Avondale. The restaurant on the corner of Belmont and Francisco avenues is small. You can sit at the bar, one of the handful of tables, or out on the patio during warm weather. On any given night, you’re likely to find hungry diners loitering outside or crowding the bar waiting for a table. Kuma’s Corners draws a crowd for a good reason. This heavy metal-themed restaurant makes delicious burgers. The Famous Kuma burger comes with applewood smoked bacon, lettuce, tomato, red onion, a fried egg, and cheddar. Like all the restaurant’s burgers, it comes on a pretzel bun. The restaurant used to have waffle fries (do not ask for them now), but now you have your choice of regular fries or chips. Every other burger on the menu is named for a metal band (think Iron Maiden and Black Sabbath). Small Cheval has a larger counterpart (Au Cheval) on restaurant row in Fulton Market that has a bigger menu with a lot of love for eggs. But, Small Cheval does two things: burgers and fries. 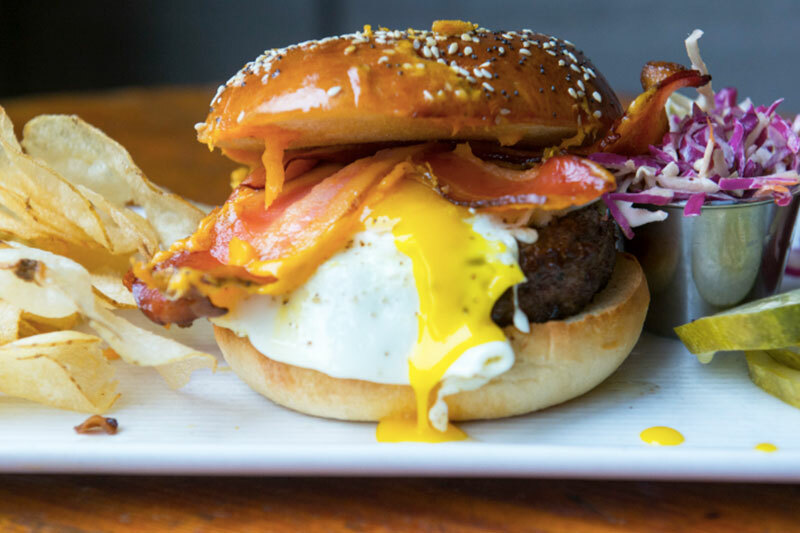 The first location opened in Bucktown on Milwaukee Avenue, but now you can find the casual burger joint in the South Loop, Old Town, and River North. Order a burger or a cheeseburger with the house toppings (dijonnaise, pickle, and onion) and add bacon if you need more meat. The golden fries are so good they might be worthy of their own list, especially when paired with Small Cheval’s garlic aioli. The restaurant also does beer, house cocktails, and boozy milkshakes.